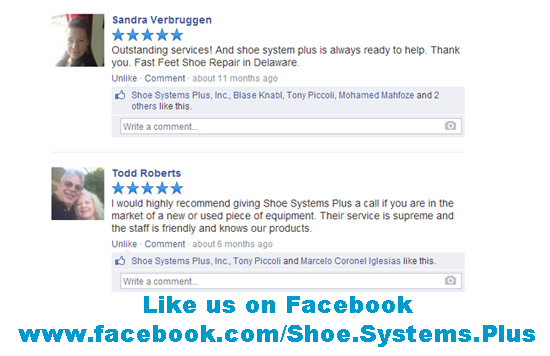 "When you want to exceed even your own expectations of quality and craftsmanship, equipment failure is not an option." 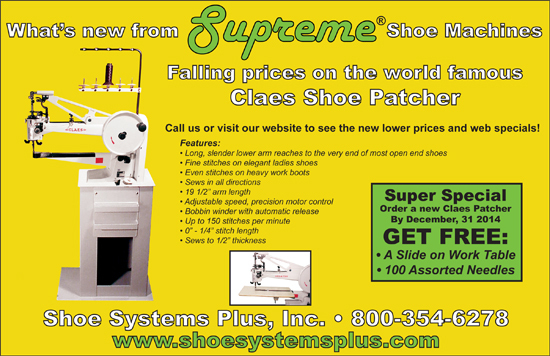 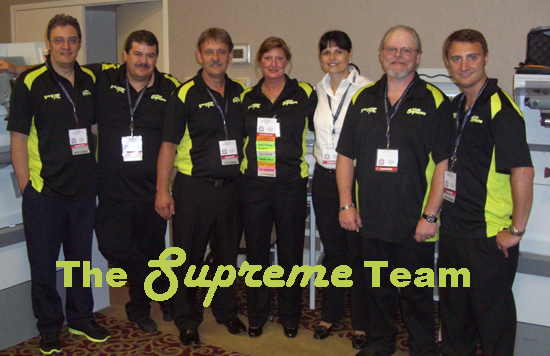 "Since purchasing a new Supreme shoe repair finisher, from Shoe Systems Plus, Inc., I have more time to focus on my customers because my work is getting done much faster. 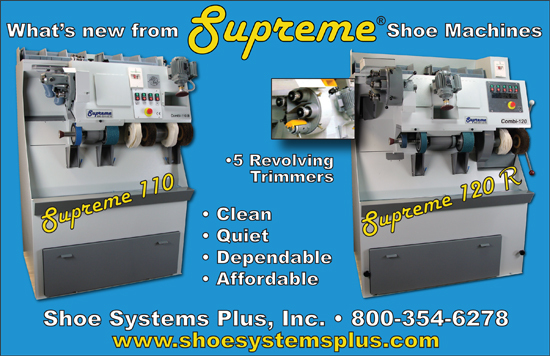 One of the best things about my Supreme shoe repair finisher is not breathing the dust and smoke because of the great vacuum system I now have. 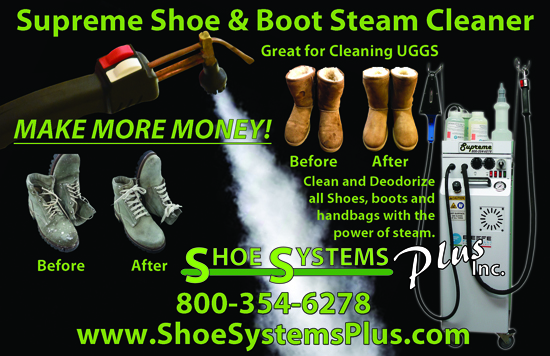 It is a joy to work with such a fine machine."